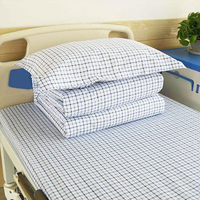 Differences in medical protective clothing fabrics at home and abroad - Shijiazhuang Hongsu Textile Import & Export Co., Ltd.
As a type of chemical protective clothing, medical protective clothing is mainly used for medical personnel to wear protective clothing that can effectively block microorganisms, block the penetration of body fluids, and prevent disease transmission.we are medical fabric wholesale and the best medical fabric wholesale,you can know it. GB19082-2009 "Technical Requirements for Medical Disposable Protective Clothing" promulgated by China, puts forward more detailed technical requirements for medical protective clothing, and stipulates that medical protective clothing should be in flame retardant performance, water absorption grade, charge density, elongation at break and Water resistance and other indicators. 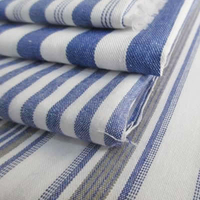 Throughout all the current fiber fabrics, it is difficult to achieve the standard requirements of waterproof, liquid barrier properties, so it is inevitable to composite lamination of the fabric, or coating finishing to improve the barrier properties of the particles. Medical protective clothing is the most important personal protective equipment for medical personnel. High-quality medical protective clothing can greatly improve the protective safety performance of medical personnel, and it can effectively protect some highly infectious bacteria and viruses. Minimized. Foreign countries have conducted a lot of systematic research on medical protective fabrics and garments. At present, most of them use PTFE materials and have developed corresponding standards according to different needs. Polytetrafluoroethylene (PTFE) is a high-performance polymer with high water pressure resistance and smooth microfluidic discharge of sweat vapor. A PTFE membrane of suitable pore size is capable of blocking bacterial viruses. It has excellent strength, stable properties, good biocompatibility, good thermal stability and easy molding. At the same time, in foreign countries, due to different medical needs, there are many researches on protective clothing for medical personnel, and the standards are strict, and the medical protective equipment is available, and there is much room for selection. 1. Coating material. 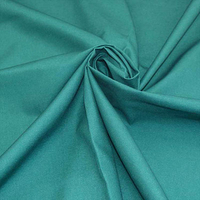 Most domestic companies use wet or dry polyurethane, polyacrylate, and polyvinylidene fluoride to coat fabrics, and then use this fabric for protective clothing. 2.PU, TPU film composite material. This composite material has some improvement in moisture permeability and comfort compared to the coating material. 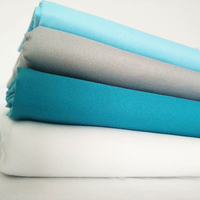 We not only have professional equipment, but also a professional fabric production management team. We provide perfect products for our customers through scientific management and continuous improvement of technology. We look forward to cooperating with you.